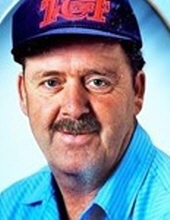 Leonard Earl Glasoe, 77, passed away peacefully on March 28, 2019 after a long battle with cancer in Great Falls. Leonard was born on August 6, 1941 in Port Angeles, Washington to Raymond and Ellen Glasoe. He graduated from Opheim High School on May 19, 1961. On August 31, 1961, Leonard joined the United States Army as a Communication Specialist. He married Sheryl J. Clampitt on April 3, 1966. With this marriage, two children were born, Lance and Valerie. On July 31, 1967, Leonard was honorably discharged from the United States Army Reserves. He then went to work for Bresnan as a Lineman. After 35 plus years, he retired. On May 14, 1999, Leonard married Carlene K. Torick, and with that marriage, the family grew with the addition of four more children, Rick, Sheri, Sandy, and Jason. Leonard enjoyed golfing, playing pool, bowling, traveling, camping, fishing, dancing, playing cards, playing keno, and most importantly, being with his family and friends. He is preceded in death by his loving wife, Carlene Glasoe; parents, Raymond and Ellen Glasoe; sister, Karen Glasoe Buchholz; niece, Julie Glasoe; nephew, Darwin Glasoe; and sister-in-law Audrey Glasoe. Leonard is survived by his children; Lance Glasoe, Valerie (Adam) Glasoe Langel, Rick (Sandy) Smith, Sheri (Brian) Tays, Sandy (John) Torick Ranieri , and Jason (Emily) Torick; brothers, Duane Glasoe, Alex (Marge) Glasoe, Toby (Norma) Glasoe, and Robert (Jane) Glasoe; brother-in-law Jim (Linda) Morin; and sister, Lois (Donald) Glasoe Millet; numerous nieces and nephews; and grandchildren, Deidra Halvari, Kayla Rowton, Nick Rowton, Zach Langel, Colter Glasoe, Corey Matthews, Clayton Smith, Dylan Smith, Niki Cash, Raymond Ranieri, Charlene Ranieri-Chaisson, and Amber Gibbs-Pruitt. Leonard was a very loving husband, father, brother, uncle, grandpa, and friend to everyone that knew him. He will be dearly missed by all. Rest in Peace and Soar with the Eagles. Special thanks to the staff of Benefis Sletten Cancer Institute, Benefis Peace Hospice, and his dear friend, Danny Lencioni. In lieu of flowers, the family would ask that donations be made to Benefis Sletten Cancer Institute in memory of Leonard at 1117 29th Street South Great Falls, MT 59405. A Celebration of Life will be held April 20, 2019 at 1pm at Schnider Funeral Home. To plant a tree in memory of Leonard Earl Glasoe, please visit our Tribute Store. "Email Address" would like to share the life celebration of Leonard Earl Glasoe. Click on the "link" to go to share a favorite memory or leave a condolence message for the family.